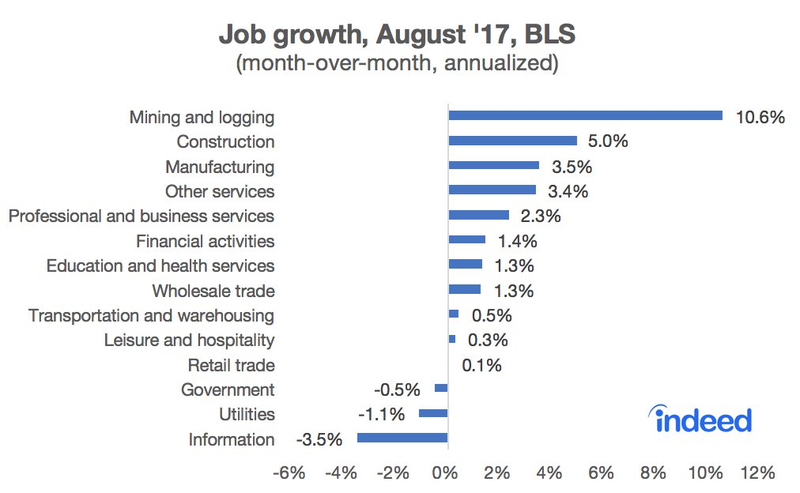 There was a lot of important information on the U.S. economy released this week but the biggest data point is without a doubt the latest monthly job report from the Bureau of Labor Statistics (BLS) out this morning. 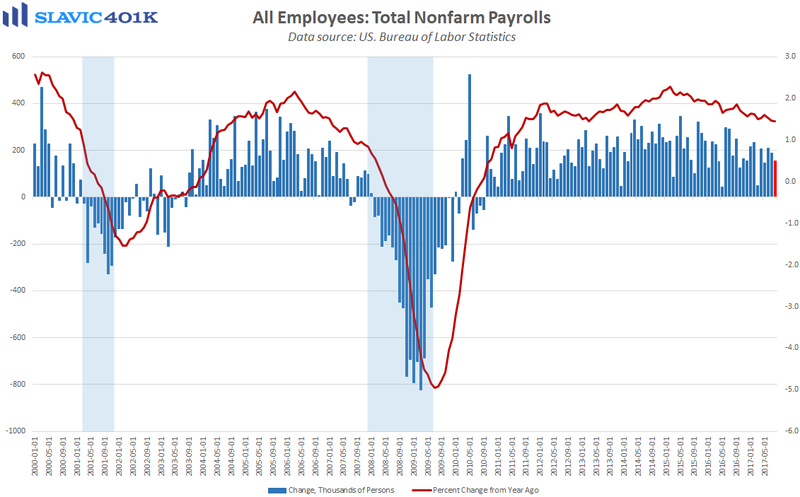 Indeed, total nonfarm employment in America rose by 156K payrolls in August, the 83rd monthly gain in a row but worse than expected and the smallest increase since May. 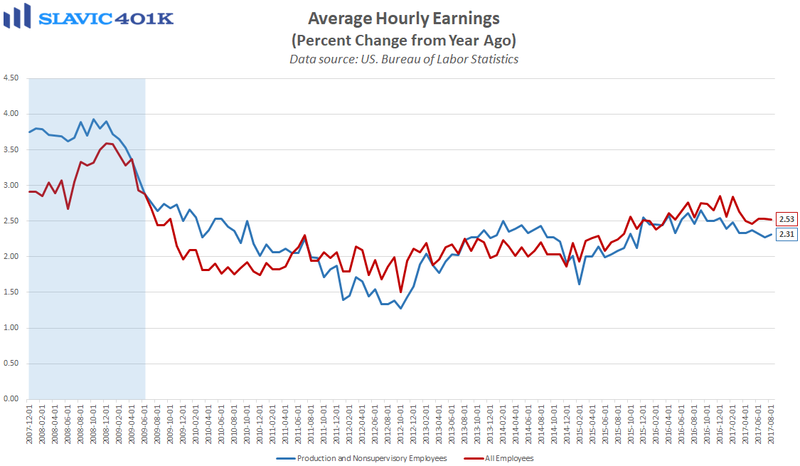 There were also downward revisions to the June and July figures, which altogether resulted in an average rate of payrolls growth of 185K during the past three months. That is actually an improvement from July and still well above many Federal Reserve (Fed) officials’ estimates for what is needed to keep up with U.S. population growth. 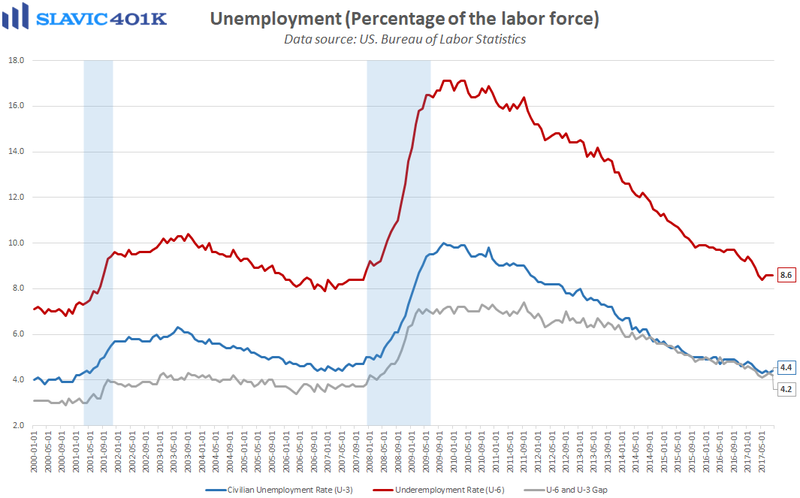 As for joblessness in America, the official unemployment rate (U-3) rose from a 16-year low to 4.4 percent in August, and the underemployment rate (U-6) held steady at 8.6 percent. 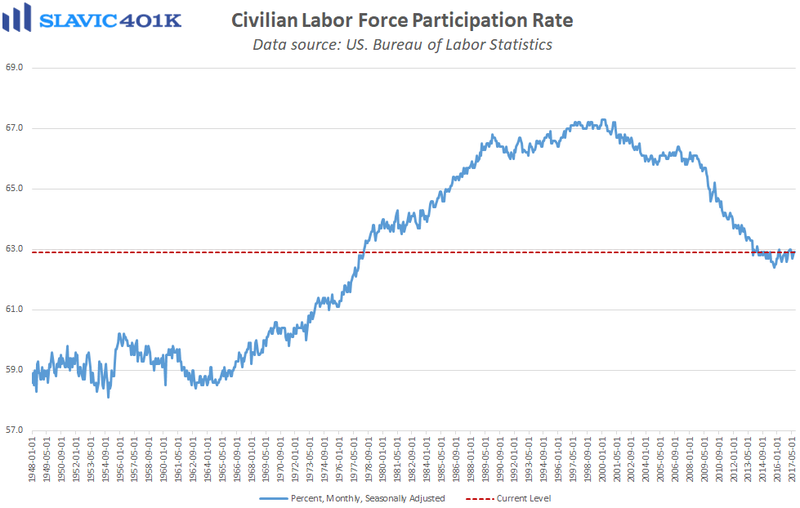 The labor force participation rate was unchanged last month at 62.9 percent, one of the highest readings of the past three years. With respect to wage growth, average hourly earnings lifted by only 0.1 percent in August. That was less than forecast and kept the annual pace of growth at just 2.5 percent, still nowhere near fast enough to meaningfully threaten the Fed’s inflation target. 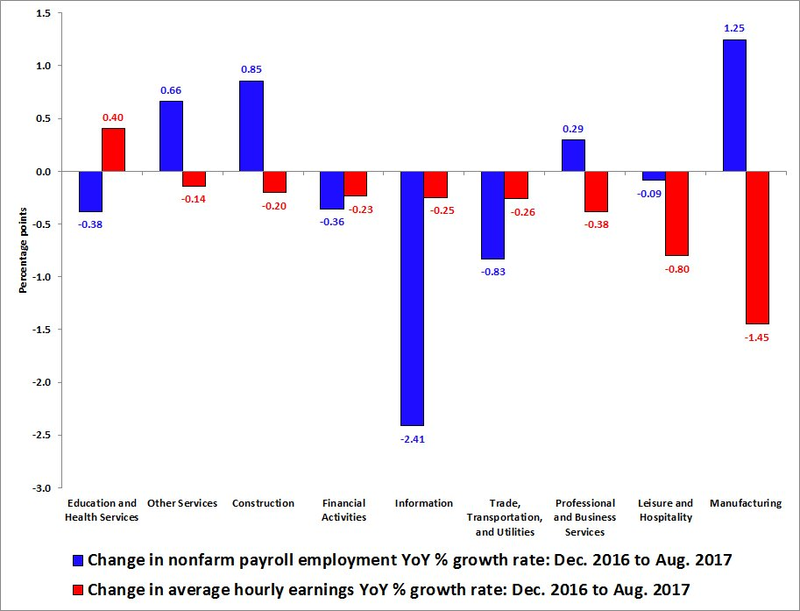 Moreover, U.S. wage growth has decelerated in almost every sector since December but most of this has occurred in the manufacturing arena where job growth has accelerated the most. 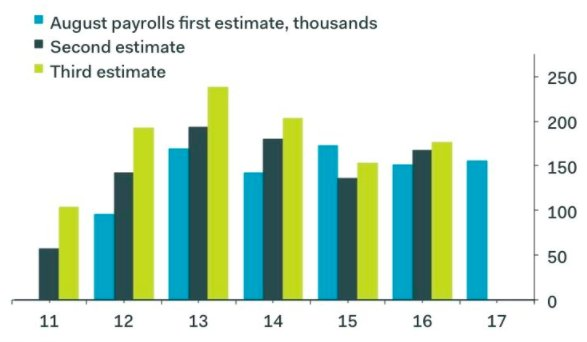 Altogether, this was a disappointing job report but it is worth noting that August payrolls in recent years have tended to be revised up substantially over time. The authors of this report also stressed that hurricane Harvey had no discernible effect on the employment and unemployment data for August, meaning that any fallout from the storm will not show up until the release of the September job report. As a result, it seems like officials at the Federal Reserve will have an easier time justifying their gradual pace of interest rate normalization at this month’s Federal Open Market Committee (FOMC) meeting.